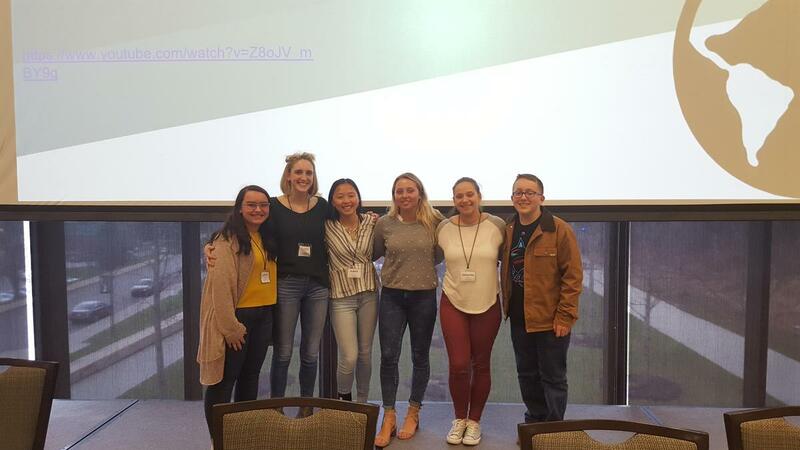 Jadeyn Snow, Claire Lindsey, Yukina Kuo, Heather Wittmer, Samantha Archer, and Noah Kane represented Knoch at the So, You want to Change the World? Day event at Slippery Rock. Schools were invited to identify several sophomores and juniors who are making a difference in their community. Here is the event description provided by SRU: The College of Liberal Arts at Slippery Rock University and its Philanthropy and Nonprofit Management program will host the So, You Want to Change the World? Day at the Rock. The event will celebrate high school students who are already doing their part to change the world and the lives of people in their communities. This event will celebrate your students’ commitment to service, allow them to interact with peers from other high schools who have similar interests, engage with SRU students in leadership development activities and meet young nonprofit professionals who are making a difference while making a living. Thank you, students, for all you do for your community!